Twenty-seven Europeans were executed en masse in a single night earlier this year. The lack of international reaction to this reveals not only what’s wrong with humanity, but even more acutely — the media. “We don’t have any gays!” exclaims Ramzan Kadyrov in a recent interview with HBO, adding that if any were found in Chechnya, Canada should take them, so as to “purify our blood.” Image still via YouTube / NSBC. Some rights reserved. Chechnya’s leader Ramzan Kadyrov has managed to troll us all again. In a sneak peak of an interview with American TV channel HBO, he said that there were no gays in Chechnya, but if there were, Canada should take them in order to purify Chechen blood. He also said that Russia had nukes and was ready to “screw the whole world from behind”. Every time Kadyrov does something stupid, it’s a Christmas gift to the international media. Kadyrov’s antics are reported over and over again, with each outlet trying to outdo each other with wittier and catchier headlines. This clickbait frenzy sends their readership stats through the roof. Kadyrov’s outbursts are horrific, but their sheer absurdity makes them all the more irresistible. Earlier this month, Russian newspaper Novaya Gazeta reported that on the night of 25 January, security forces secretly shot to death 27 young Chechen men. The men were detained illegally: they weren’t officially registered or charged, but instead placed in the cellars and ancillary premises of Chechen police stations. Their bodies were hurriedly buried in local Christian and Muslim cemeteries. The newspaper published a list of names and personal details of the victims to substantiate its claims. Chechen authorities were quick to slam Novaya Gazeta’s claims as politically motivated, while the Kremlin has shrugged them off, as if nothing out of the ordinary happened. In April, Novaya Gazeta reported that the Chechen authorities were rounding up men suspected of being gay en masse with more than 100 detained and at least three killed. Despite the overwhelming evidence of state-backed mass persecutions, the federal authorities denied that this was taking place, parroting Kadyrov’s line that it’s impossible to oppress queer people in Chechnya because they don’t exist — the argument which he reiterated in his interview with HBO. These reports shook Chechen society — where many people genuinely weren’t aware that queer people existed in their republic — as well as the international community. The issue received widespread coverage in the media and prompted firm reactions from global leaders and institutions, including the United Nations, Angela Merkel, Emmanuel Macron, and the US State Department. The idea of “gay purges” resonated in the West, where queer rights have been one of the most hotly debated social issues for decades. The 25 January massacre received a fraction of this attention. I looked hard and it seems that no western politician has even mentioned it. Several western media outlets misreported that the killings were a part of the anti-queer campaign, despite the Russian LGBT Network (a rights group that has been directly assisting persecuted queer men on the ground) refuting these claims. The local and global wave of support for the persecuted queer men was phenomenal. The Russian LGBT Network coordinated evacuations, with Dagestani activists organising shelters — clearly demonstrating that there is a lot of nuance belying the mainstream narratives of social conservatism, homophobia and lack of civic activity in the North Caucasus. 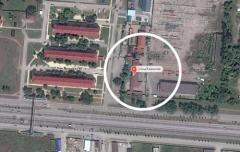 Former military offices in Argun, Chechnya - the supposed site of the secret prison for Chechen gay men. Image courtesy of Novaya Gazeta. The men murdered on 25 January, who may have been suspected by the Chechen authorities of militant activity or of as little as fostering dissenting sentiments — we will never know, because no charges were ever pressed — will soon be forgotten. This will be a success of the age-old Russian policy of presenting North Caucasian dissent as terrorism. If you’re glad that Russia has joined the global “war on terror”, congratulations — you, Putin and Trump are playing for the same team. The widespread argument one could often hear in Chechnya throughout the spring was that “the whole world only cares when gays are being persecuted, while everyone turns a blind eye if the same is happening to the rest of us.” The global silence over the January mass murder will only reinforce this homophobic sentiment. It seems, however, that even in Chechnya, this mass killing provoked little debate. For Chechens, who have for years been struggling to overcome post-war trauma and adapt to Russia’s criminal order on the ground, this is business as usual. It’s also been business as usual for the global media, which has failed to properly report on and contextualise the fact that in 2017 people are being mass murdered by a shot to the head — in Europe! The information revolution has deeply affected not only the traditional news cycle (nowadays, day-old news is already a fossil), but also business models and sources of income. Commercial media outlets, all struggling with their finances, need to go lengths to secure sustainability, which often means desperate pursuit of a story — at the expense of context, depth, and fact-checking — as well as catering to popular taste instead of guiding the public debate to the right track. Under capitalism, there is endless demand for quick and easily digestible information, so commercial media supplies the market with large quantities of fast food for thought. In today’s world, commercial media employs some of the brightest journalists we have — like Novaya Gazeta’s Elena Milashina, who broke both of these stories from Chechnya. It is, however, difficult to resist the accelerating commodification and even the world’s best media often has to diversify their product to survive. 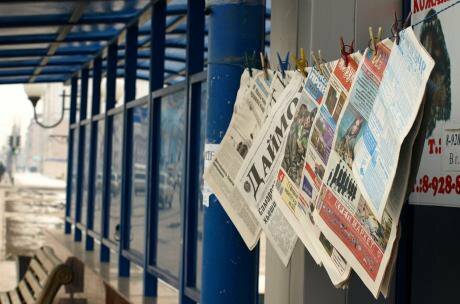 Scrubbed clean and hung out to dry – newspapers on sale in Grozny, Chechnya. Photo CC-by-2.0: Vladimir Varfolomeev / Flickr. Some rights reserved. The situation is not all roses for donor-funded newsrooms either. While the editorial independence of Open Caucasus Media — the outlet which I co-founded in January — is non-negotiable, we are held accountable for our viewership stats. Just like in commercial media outlets, readership stats translate into funding, in the guise of donors’ smiles when they read our reports. So, we do try to make our headlines sexier in order to attract more readers to issues we think are critically important, but fighting public indifference and the media noise at the same time is challenging. Also, the outcomes of the increasingly vocal far-right campaign to discredit donor-funded NGOs are impossible to predict at this point. One can hardly be very optimistic seeing that the “foreign agent” narrative has already caught on throughout Central and Eastern Europe, with dissent being increasingly squeezed out not only by corrupt governments, but also rapidly radicalising public opinion. The way out of this stalemate is to bring back dignity to our public broadcasters. We must fiercely push our governments to ensure broadcasters’ independence, financial security, and freedom to act on their mission of public service. We cannot remain silent when the Georgian government plans to put its public broadcaster at the mercy of the market or when Poland’s public TV has plummeted to the level of Russia’s propaganda tube Russia-24. Our freedom is non-negotiable. There are no perfect solutions — no human, including journalists, is perfect — but democracy, solidarity and a persistent fight for truth and balance are the best we have. Chechnya, arguably Europe’s most brutal regime, is not an easy place to obtain verified information from. The practice of collective responsibility has been used to terrorise the population into refraining from any meaningful civil activity. At worst, reprisals can reach family members and even distant relatives: public humiliation, expulsion, houses burnt down, fake trials, torture, disappearance in secret prisons. I have heard of such cases first-hand. Imprisoned Chechen journalist Zhalavdi Geriyev. Photo courtesy of the author. My colleague Zhalavdi Geriyev, a Chechen journalist for Caucasian Knot, was imprisoned on trumped-up drug charges in September 2016. His friends and relatives are happy that at least he’s alive. I fear every day that something could happen to OC Media’s reporters in Chechnya and other republics of the North Caucasus. The risks which they are taking are beyond comprehension. I can’t stand that their bravery is being systematically reduced to a number of clicks and likes on social media. We need to reclaim what’s ours. The first step is to separate the wheat from the chaff. Listen to critical and reputable Chechnya watchers, such as Karena Avedissian, Ekaterina Sokiryanskaya or Karim Zidan. Support independent media. Call the propagandists out. Dare to speak up. With every report, ask yourself whether you’re being informed about real issues or being fed cheap media pap. Don’t let real people’s lives be served to you as entertainment. Indeed, I hope my headline caught your attention: Chechens would have been less click-baity than Europeans, just like a Syrian refugee’s life costs less than an American, or our western comfort in general. And the latter is more illusory than you might think. Want to know more about how not to write on the Caucasus region? 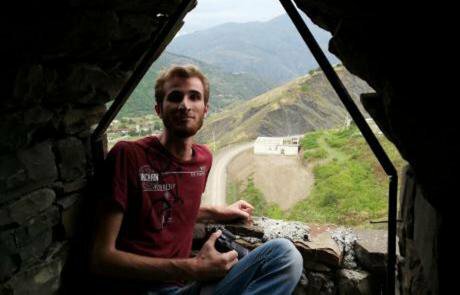 Read the author’s reflections on what attracts western journalists in Georgia’s Pankisi Gorge – and how the locals came to resent them.